Syrians who have fled violent conflict at home to seek safety in Lebanon do not receive anywhere near adequate levels of humanitarian assistance and are living in extremely precarious conditions, a detailed survey released today by the international medical humanitarian organization Médecins Sans Frontières/Doctors Without Borders (MSF) reveals. The MSF report, ‘Misery beyond the war zone,’ shows that of the 220,000 Syrians who have sought refuge so far in Lebanon, many cannot obtain necessary healthcare, among other worrying findings. The survey reveals a marked deterioration of the humanitarian situation in Lebanon, in large part due to extremely lengthy registration delays. Refugees in Lebanon are not entitled to formal assistance if they are not registered. Lebanon is home to the majority of Syrian refugees. “Registration should not be a condition for receiving assistance in any emergency crisis,” said MSF General Director Bruno Jochum. “Yet access to humanitarian aid is seriously hampered by the difficulties many refugees encounter in registering on arrival in Lebanon. The roll-out of aid must be accelerated and expanded,” he said. 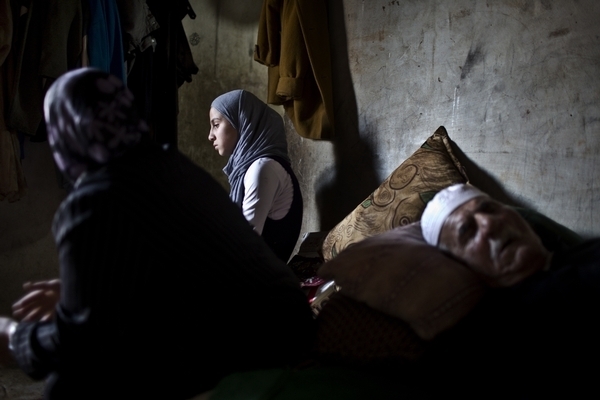 Syrian refugees and other displaced people in Lebanon do not have access to free healthcare and adequate shelter. Living conditions for the majority of refugees and Lebanese returnees remain extremely precarious. More than 50 percent of people surveyed by MSF, whether officially registered or not, are housed in substandard structures in inadequate collective shelters, farms, garages, unfinished buildings, and old schools. Most provide paltry protection against the elements, if any at all. The dire living conditions are contributing to deteriorating health conditions. "We are in an extreme situation, we don’t have enough food and we don’t know who to go to for help. The only food we receive is purely out of the solidarity of our Lebanese neighbours. As adults we can eat once a day, but we cannot tell our children to do the same,” says a refugee father. Roughly one in four of the interviewees said they had not received any assistance, while 65 percent said they had received only partial assistance that did not cover their family’s needs. In most parts of Lebanon, the capacity of host communities to absorb refugees has reached its limit. Families that arrived earlier are fast running out of money to pay for food and shelter and have no access to basic medical care. “It is time for donors to truly commit themselves to doing what is needed to address the growing needs of the refugee population in Lebanon, and for national and international aid actors to evaluate the methods and the amount of the aid they are providing,” said Jochum.